Taekwon-Do is a modern form of self defence originating from Korea, founded by Grand Master General Choi, Hong Hi (1918-2002). He developed Taekwon-Do by researching other martial arts and by using modern scientific principles to design techniques that have maximum power and effectiveness. ITF Taekwon-Do has grown in popularity since its inception and is now taught in nearly every country in the world. 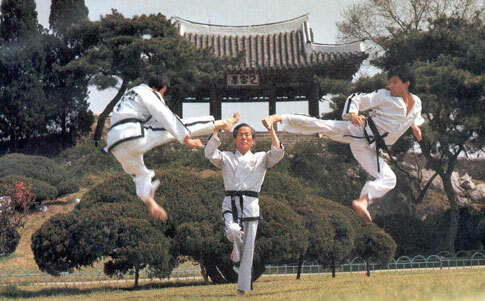 It is most famous for its spectacular and dynamic kicking techniques, although this has led to the misconception that Taekwon-Do is just a kicking art. 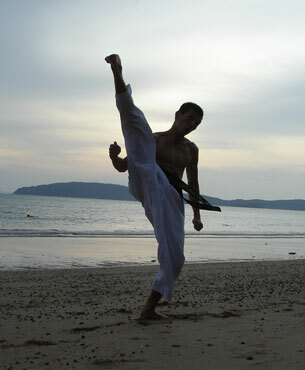 Taekwon-Do does indeed make extensive use of the legs, since the legs are longer and more powerful than the arms, but kicks make up only a small fraction of the total number of ITF Taekwon-Do techniques. There are also blocks, punches and strikes with the hands or arms as well as basic throws and grappling. The wide range of techniques caters for all types of situations, and students are taught to defend against single and multiple opponents, on foot, seated and prone, and against weapons such as sticks and knives. For more information see this article on the Vision Taekwon-Do website.